In a post-Fukushima world, Japan may have no choice but to work with Russia to shore up its energy supplies, but the decision is not an easy one. On Aug. 15, 1945, the Japanese emperor made his first-ever address to his people. It was the day Japan surrendered to the Allied forces, ending World War II. The second time was after the accident at the Fukushima-1 nuclear plant. The most powerful earthquake ever to hit Japan took place on March 11, 2011, but the earthquake itself, even with with the massive tsunami it triggered, could hardly shake the country’s foundations. Earthquakes, typhoons and tsunami are part of Japanese culture, economics, history and daily life. Every Japanese schoolchild sits in class on an orange pillow that can easily become a protective hood if an earthquake strikes. It is almost taken for granted. Yet the country found itself in a new reality after the tsunami hit a nuclear power plant causing the reactor cores of three units to go into meltdown. The accident was awarded the highest grade – a seven – on the IAEA scale grading nuclear disasters. At the time of the disaster, the amount of radionucleides discharged into the atmosphere, the soil and the coastal waters reached 20 that of those of Chernobyl, but they are increasing with each new measurement and calculation. The reason is not only new radiation leaks. “Enemies will despise you if you look untidy,” wrote 17th century Japanese philosopher Tsunetomo Yamamoto, the author of Hagakure, “The Book of the Samurai.” The Japanese are skeptical about the standards of neatness in the rest of the world, and now Fukushima has undermined that symbol of their national identity. “Extreme diligence, absolute cleanliness and total safety of everything in Japan – all that we have been proud of and prized so highly -- has given way to filth. One feels like a radioactive cockroach,” a Japanese colleague said to me several weeks after the disaster. This lost feeling of sacred cleanliness has probably fueled the dissatisfaction with the government. The opposition accused then-Prime Minister Naoto Kan of mishandling the crisis and Kan had to go at the end of last year to prevent a split within his Democratic Party. But the opposition Liberal Democratic Party failed to regain the power it lost two and a half years ago. The conservatives, who dominated the political scene for more than 50 years, are in a still deeper crisis than the ruling democrats. Teetering on the edge of paralysis of power, political forces in Japan have entered a period of shaky compromises at a time when the country needs a united leadership more than ever. The country’s energy mix, which is totally devoid of hydrocarbons, is in a sorry state. The problem must be addressed immediately. The Fukushima accident inevitably triggered a crisis of the entire nuclear power industry. Nuclear plants accounted for 30 percent of all Japan’s power, but today only two of the 54 reactors are still operational. 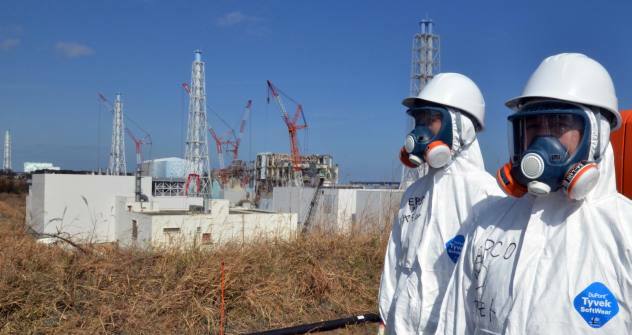 By April, the remaining stations may be stopped, too, and it is anybody’s guess when the nuclear plants will go back online as there is massive opposition to nuclear energy on the part of local communities. On the other hand, the problem of importing energy has also grown worse. Under U.S. pressure, Tokyo has virtually agreed to join the sanctions against Iran and cut its imports of Iranian oil, which account for 10 percent of the country’s total oil imports. And, in general, the political situation in the Middle East is in flux: the latent conflict between Iran and Saudi Arabia is becoming increasingly acute, there are signs of destabilization in Iraq and Libya, while the U.S. position in the region is becoming less certain. Meanwhile, there is a growing appetite for oil in China, India and South Korea. Japan has always counted on Siberian oil and gas, participating in development of the Sakhalin continental shelf. After the disaster, Russia, in response to a request from Japan, sharply increased supplies of liquefied natural gas. Talks on building a second gas liquefaction plant in the Far East have gathered momentum and the Eastern Siberia—Pacific oil pipeline will reach the Far Eastern port of Kazmino in December. The objective geographical and resource basis for a quantum leap in relations is there. The problem is, however, that Tokyo has always linked qualitative progress in relations with Moscow to the demand for return of the disputed South Kuril Islands. And, the U.S. is very sensitive to any attempts by Moscow to base its relations with its neighbors on mutual energy interests. This was the case in Europe when the projects for building gas pipelines from Russia were discussed. So, if Tokyo decides to cooperate with Moscow in the energy field – and Japan has currently very few other options – it will not only have to moderate its territorial claims on Russia, but also take into account the opinion of the United States, which has been the sole guarantor of the country’s security in the post-war period. The Fukushima disaster has rocked the very foundations of the Japanese state and society, putting the economy, politics, security and public consciousness to the test. Time will tell whether Japan meets these challenges but the era of tranquil well being seems to be a thing of the past.